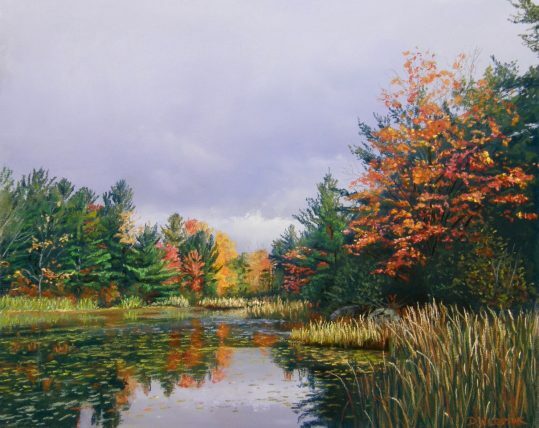 Living north of Toronto for more than fifteen years, Dan Werstuk has dedicated himself to the profession of producing art. 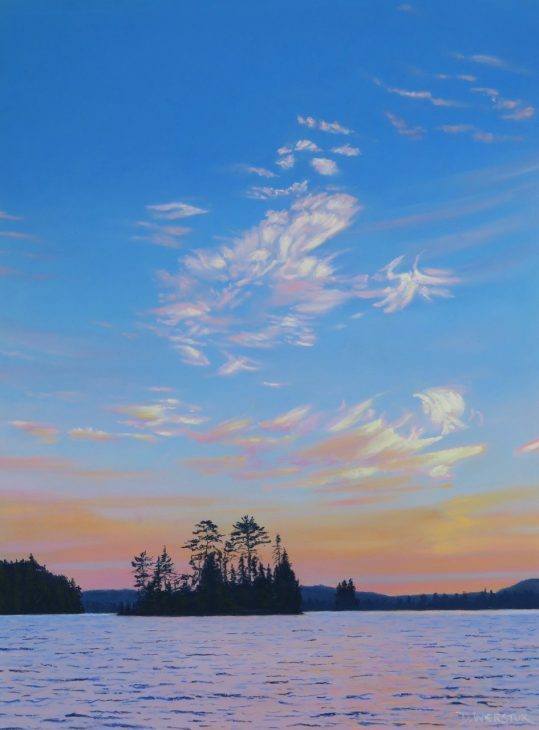 Images created from the inspiration of the Muskoka area have found their way into his latest collection of pastel paintings. 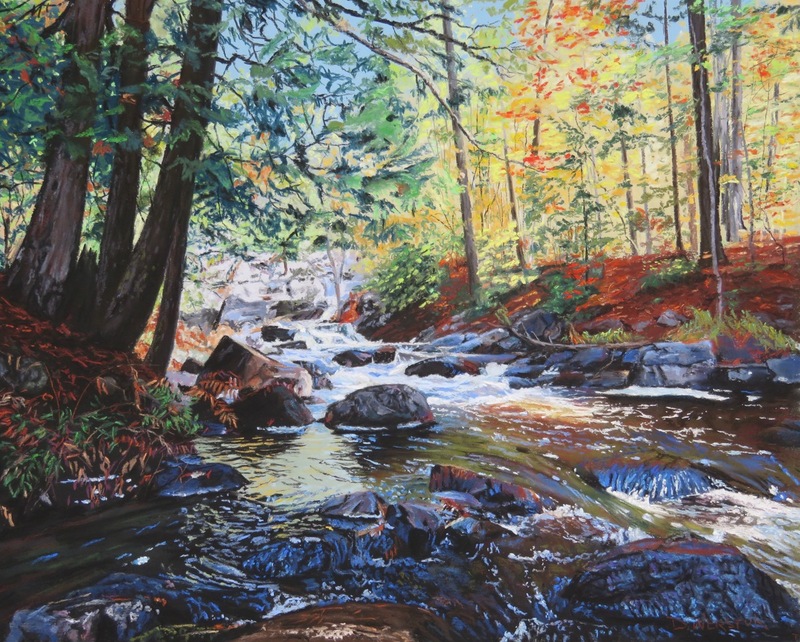 Dan is familiar with the landscapes and landmarks of Algonquin Provincial Park and the other areas of Muskoka. 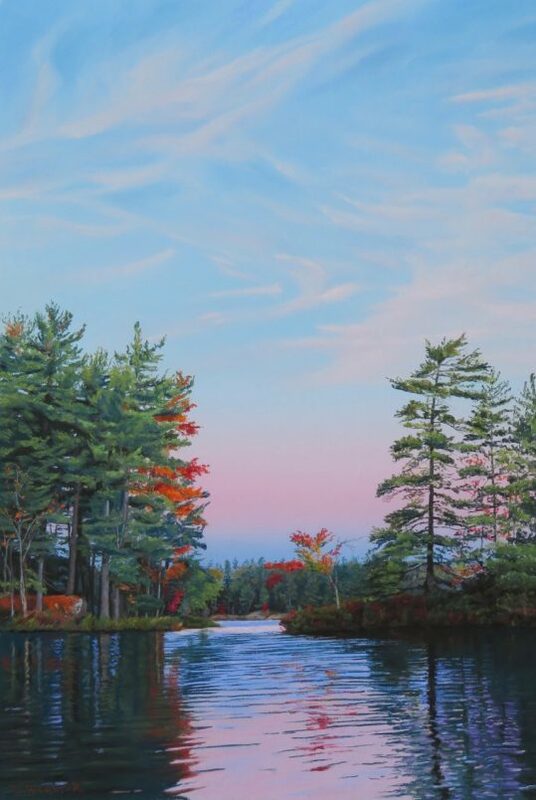 Spending many hours leading tours and canoeing throughout the parks and trails, Dan encounters many beautiful scenes which he recreates into detailed pastel images. 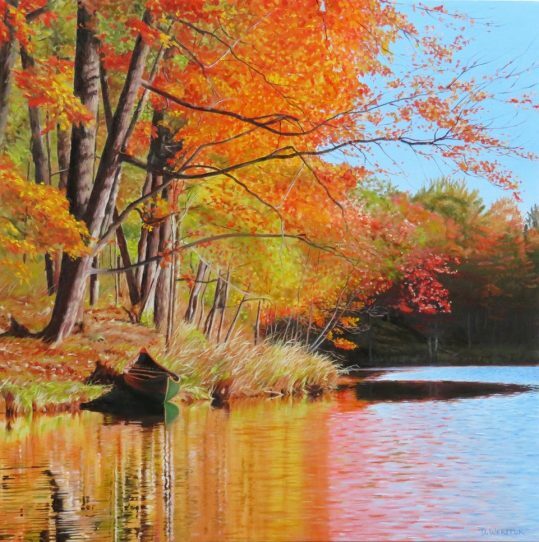 Dan is a self-taught artist who focuses on realism in his work. 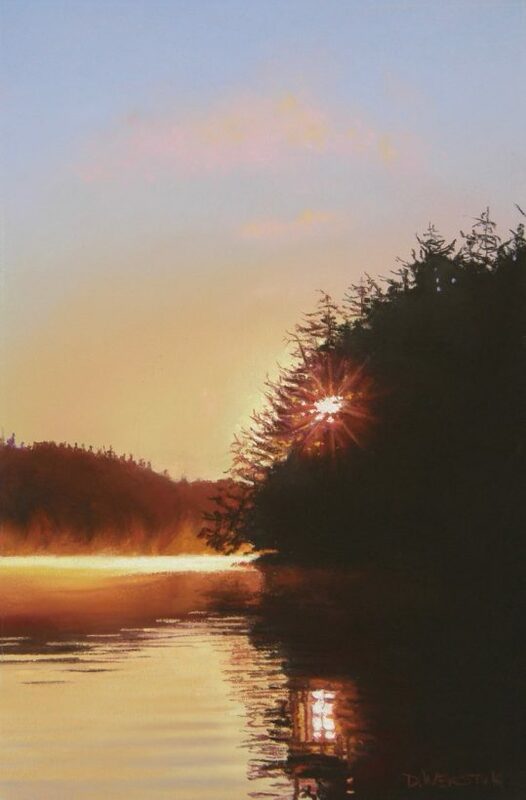 It is the attention given to the reflections in the water or the early morning mist rising from the lake that sets his work apart from others. 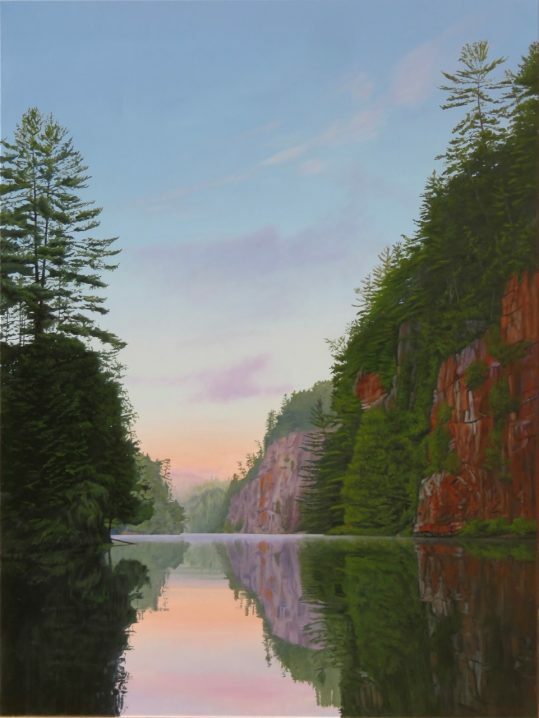 Dan Werstuk was born in Ontario in 1949 and grew up in Gravenhurst on Lake Muskoka. He attended the Ontario College of Art from 1969 to 1973 and continured to paint and draw from personal interest while working in the printing industry until 1990. 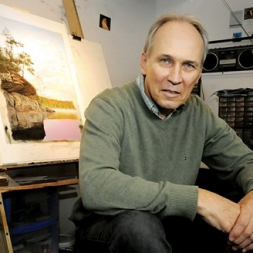 Since 1990 Dan has made painting and drawing his career. 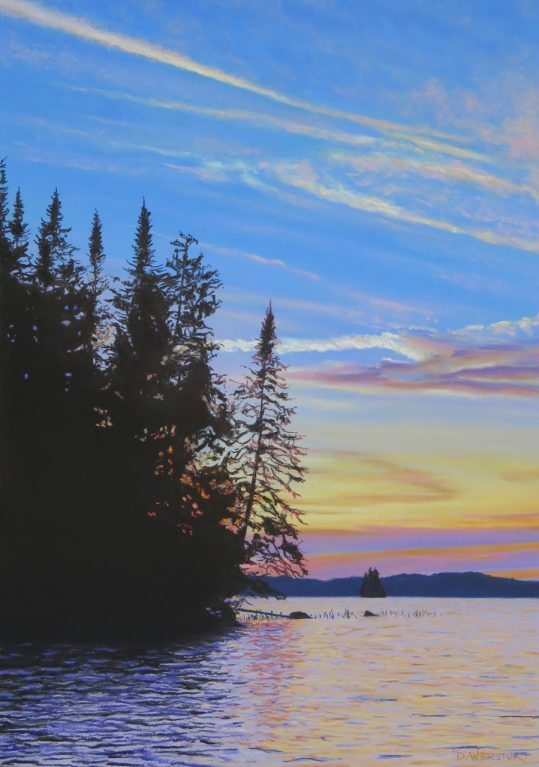 In his exploration of different mediums of expression, Dan found that pastel painting was ideally suited to him. 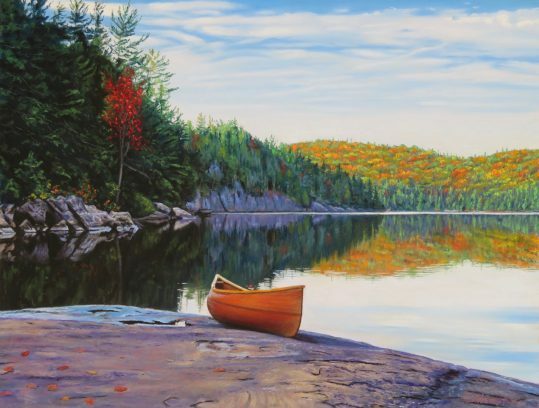 He can paint and draw in the same composition, blending and layering colour to produce realistic landscape paintings. Borrowing from his expertixe in fine art printing, Dan has also created a limited series of original dry point prints, hand coloured in light acrylic washes. 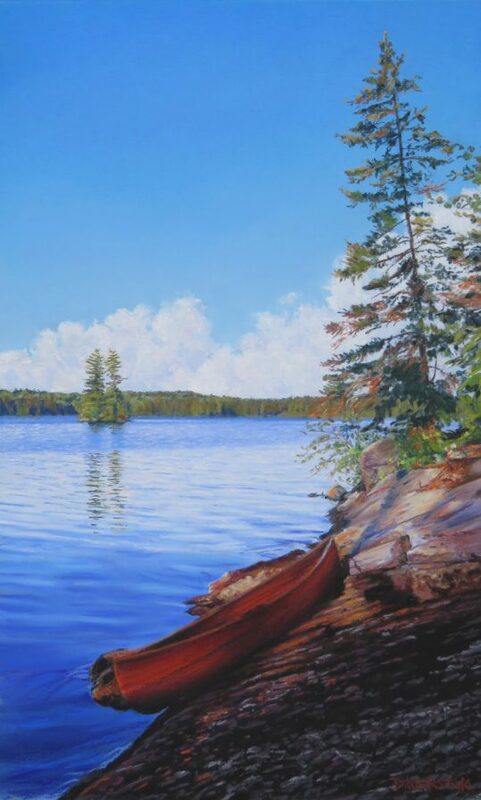 Dan's art reflects his appreciation of Muskoka, Algonquin and points further north. He enjoys living in the village of Midhurst near Barrie where he has the country out his back door. 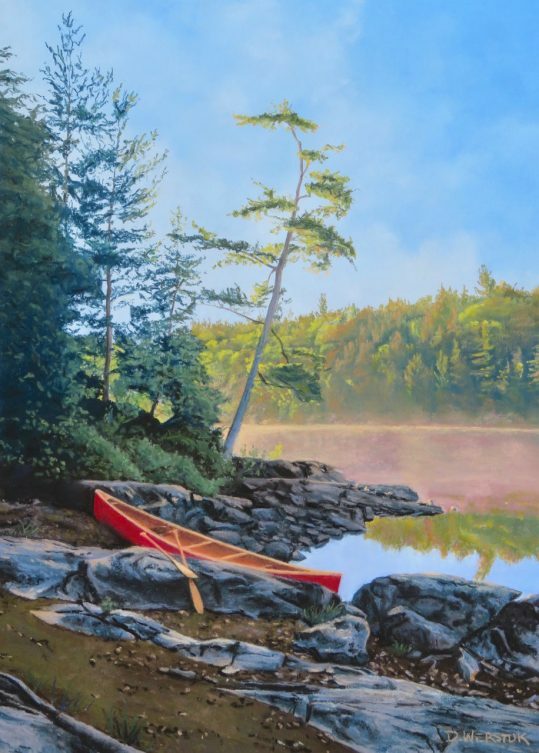 These vantage points are captured in his paintings: from the backyard garden to the antique boats cruising the lakes to the vistas of Algonquin Park only accessible by canoe.